Hey CEiMP-ers -- forgive me PLEASE for this late posting. This has pretty much been one of the worst weeks of my life. I was incredibly ill and have barely been able to move for days. Total nightmare. But the antibiotics are kicking in and I almost feel human again. So! This past week was my turn to host over at Craving Ellie in my Belly. 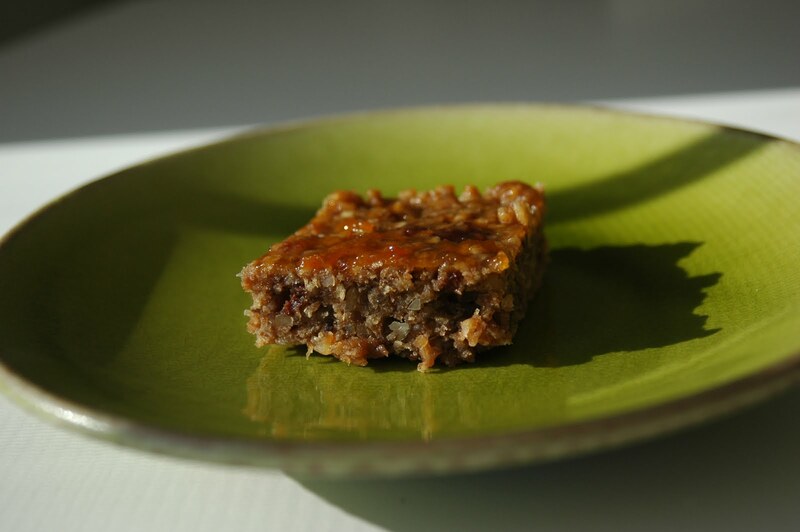 My pick was the Walnut and Dried Cherry Bars, on p. 40 of So Easy (recipe at end of post). I did not love these. I see that a lot of people really did, so maybe I should try them again. They were a little too soft for me, I'd try baking them a little longer next time, and maybe try a different kind of preserves. I feel badly picking a recipe and then not digging it, but oh well, they can't all be keepers. I'm looking forward to reading through everyone else's posts (when I can look at the computer for more than 2 minutes without feeling like puking! Bon apetit!). I saw on twitter that you had been sick. So sorry! Hope you are better. I was snowed in last week so I couldn't make these, but I cannot do oats anyway. They do look delicious!! Sorry you didn't love them. This was a great pick. Have given samples and the recipe to several friends. Like you I didn't love them, but I did like them. Hubs on the other had did love them. I'm so sorry you were sick! We liked these, and they lasted FOREVER when well wrapped. Great pick!